Exceptional House. Local Knowledge. Personal Service. 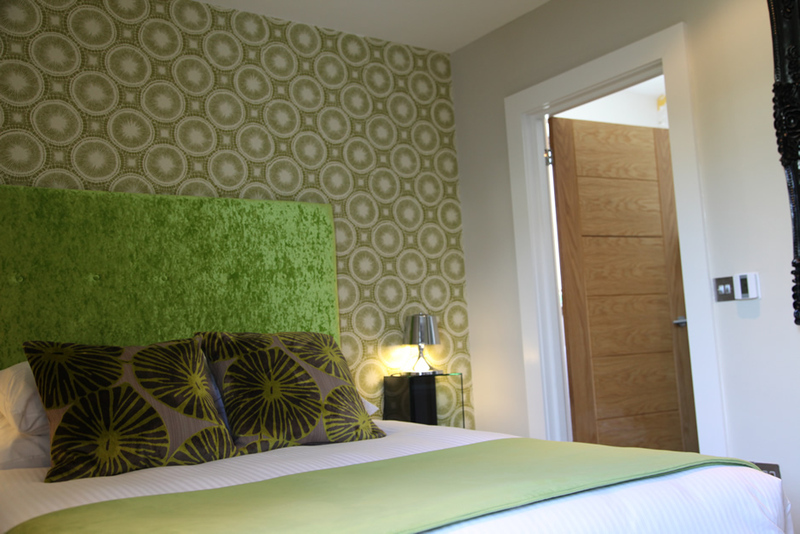 All of our luxury boutique bedrooms are individually designed and named after the types of fishing that the boats of Mevagissey undertake from the harbour either from times past, or ones that are still fishing today. Relax in the 36′ lounge, put your feet up enjoying a 56” Smart TV or just chillax gazing out at the breathtaking sea views through the floor to ceiling, wall to wall walls of glass, or just enjoy a together moment of a board game or two! A cooks delight!! A super large 46′ kitchen/dining room designed in our boutique style, still enjoying those sea views, fitted with an oversized chefs oven with 6 ring hob, an extra-large Maytag fridge freezer with ice maker/crusher, a secondary fridge to store all your extra local goodies in to cook, sooo many surfaces to spread out over with more utensils than you realised you needed and too many cupboards to count. Then sit down at the 12 seater dining table to enjoy both your culinary delights and the mesmerising sea views from. 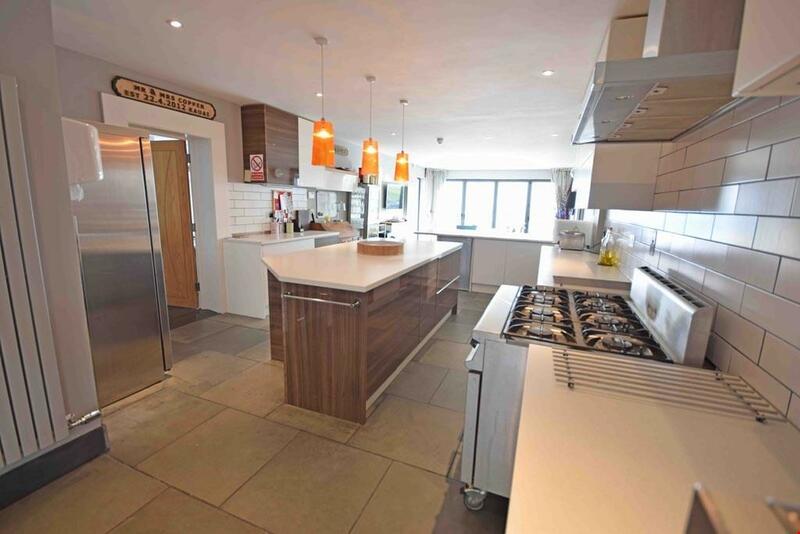 If you fancy just chilling out in the kitchen/dining room with a Cornish Cream tea, there is also a 48” Smart TV with Sky to vie with the sea views for your attention, or a BOSE sound system to dance the night away with. Relax in the 36′ lounge, situated right in the centre/heart of the house, sinking in to our super comfy sofas putting your feet up on a foot stool or two, enjoying gazing out at the breathtaking sea views through the floor to ceiling, wall to wall windows of glass with a glass of fizz, or a great cup of tea in hand. On rainy or windy days, just wind down with either the 50” Smart TV with Sky, weather watching or enjoy a together moment of a board game or two! If a booking is made 8 weeks or more before the Holiday is due to start, a deposit of one-third of the rent is payable. If a booking is made less than 8 weeks before the Holiday is due to start, the full rent, plus any additional charges, must be paid at the time of booking. Terms & Conditions of booking Document must be read, signed and returned to us before your booking will be Guaranteed. T&C’s click here. 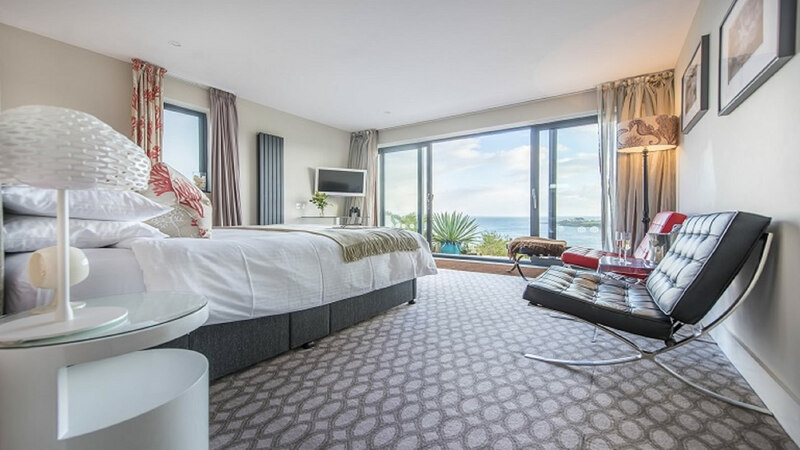 A truly special Suite, with uninterrupted, jaw dropping sea views, situated on the ground floor with floor to ceiling and wall to wall glass patio doors leading out on to a terrace. With a Super King size or Twin Beds with pocket sprung mattress, TV & DVD player, seating area with Le Corbusier chairs, dressing room with wardrobe, chest drawers & a second TV, en suite bathroom with double ended bath and twin basins plus separate en suite shower room with extra-large shower. 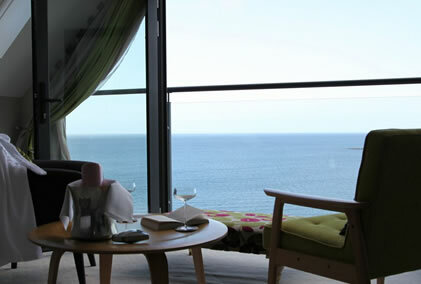 Stunning sea view room with 180 degree breathtaking panoramic views, decorated in calming soft hues. Situated on the first floor, with floor to ceiling, wall to wall sliding glass doors with a glass balustrade, a Super King size bed with pocket sprung mattress and underbed drawers, wardrobe, chest of drawers, TV & DVD player and en suite shower room with extra-large shower. THE most amazing Suite with jaw dropping panoramic sea views and high vaulted loft ceilings, floor to ceiling wall to wall glass windows with French doors and glass balustrade, situated on the top/second floor, a Super King size or Twin beds with pocket sprung mattress and underbed drawers, lounge area with comfy arm chairs, large wardrobe, chest of drawers, dressing area, TV & DVD player, en suite bath and shower room with extra-large shower and double ended bath. 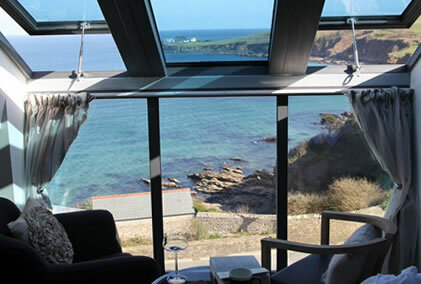 Beautiful sea view room with 180 degree jaw dropping panoramic views. Situated on the first floor, with floor to ceiling triple pane glass sliding doors and glass balustrade, King Size bed with pocket sprung mattress and underbed drawers, wardrobe, chest of drawers, TV & DVD player and en suite shower room with extra-large shower. The only non-sea view room which is peacefully decorated in our unique boutique style, situated on the first floor looking out over rear gardens. A King Size bed with a pocket sprung mattress and underbed drawers, wardrobe, TV & DVD player and en suite shower room with an extra-large shower and a colourful surprise. A breathtaking location, promising extraordinary experiences.